You’ve got your plane tickets, your accommodation, and your itinerary. But how are you going to get around Japan? How do you get the most out of your JR Pass, and what other options are available for longer term visitors, seasoned traveler, and the budget backpacker? 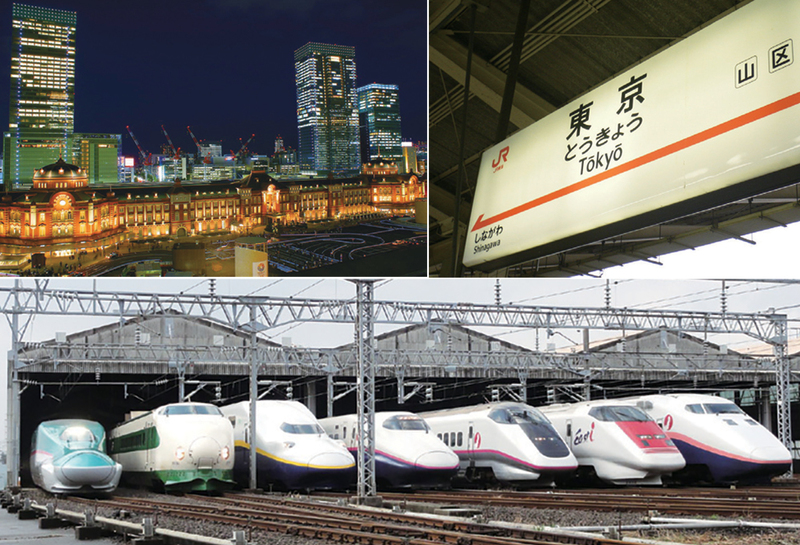 While Japan is well-known for its advanced transport systems, it can be daunting to navigate. Doing a bit of research and preparation before you land in Japan can save you a lot of time later. The Japan Rail Pass is considered almost an essential by travelers to Japan. It offers very good value for money — but only if you are travelling between cities. If you are spending the first few days of your trip in a single city like Tokyo or Osaka, consider getting a shorter term JR Pass, and only activating it when you start on the inter-city portion of your trip. Previously, travelers would activate their JR Passes as soon as they landed at Narita Airport, so they could ride the Narita Express train to central Tokyo without having to splash out 3000 yen for the privilege. But with a new option for foreign visitors called the N’EX Tokyo Direct Ticket, you can take the Narita Express train from the airport to Tokyo and other major stations for just 1500 yen. So you are in a bustling Japanese city, and you have held off on activating your JR Pass for now (or you didn’t get one in the first place). How will you get around? The Japanese subway and metro area train networks are world famous for their punctuality, service frequency and coverage. For one-off trips, you can buy a ticket at a vending machine or over the counter. But if you anticipate making multiple trips, and you want to avoid the queues, deal with less loose change, and have greater flexibility, learns from the locals, and get a prepaid IC card like a Pasmo or Suica. IC Cards are convenient because you simply tap it at the ticket gates to enter or exit the platform areas. You can also use them to pay for purchases at vending machines, convenience stores and certain restaurants. 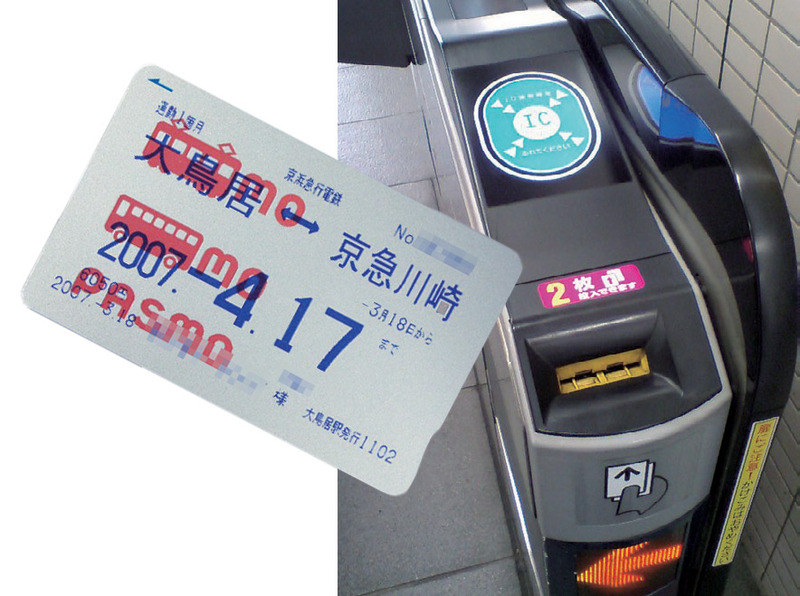 Because the major IC cards are interoperable, you can use a PASmO, Suica, or an Icoca card to travel on virtually all trains, subways and buses in the major cities of Japan — although they will not allow you to travel between cities. 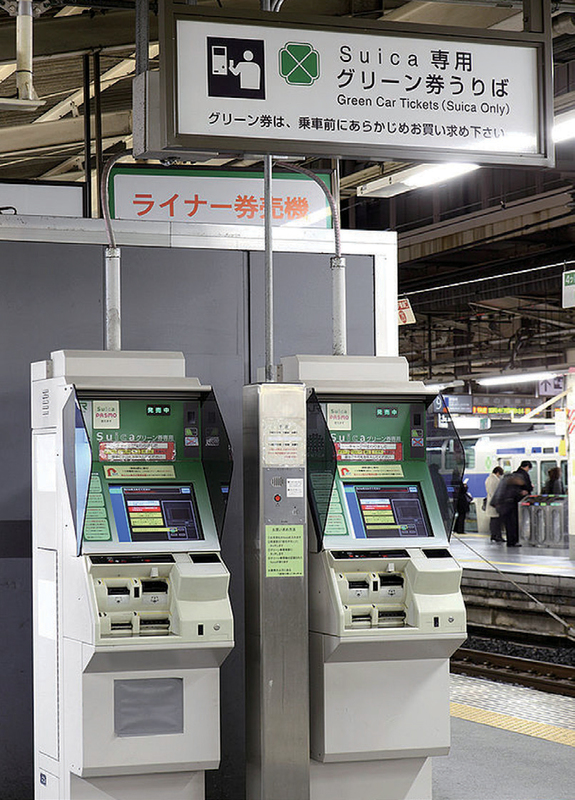 To get an IC card, look for the relevant ticket machines or ticket counters at a railway station. You will need to pay a deposit of 500 yen, plus an initial amount of pre-loaded credit between 1000 to 1500 yen or more. You can recharge your card with up to 20,000 yen at ticket machines or re-charging machines. At the end of your trip, you can get your 500 yen deposit back by returning your card to the ticket counter of the issuing operator. For those who are more adventurous, City Passes may be a good option. These special one-day tickets allow unlimited travel on subways, trams, trains and buses within a single city. They are available in Tokyo, Osaka, Nagoya, Kyoto, Hokkaido, Kamakura Enoshima, and Kobe. Another local tip: if you are on a budget, check out the discount ticket shops. Usually located around train stations, these small hole-in-the- wall operations buy tickets in bulk and resell them at a discount — and they are perfectly legitimate. If you know what you are looking for, you can save anywhere from 10 yen (for a local JR subway ticket) to 1000 yen (for a longer distance shinkansen ticket). These discount ticket shops also offer cheap food/drink vouchers, as well as discounted tickets to attractions like Disneyland and concerts. 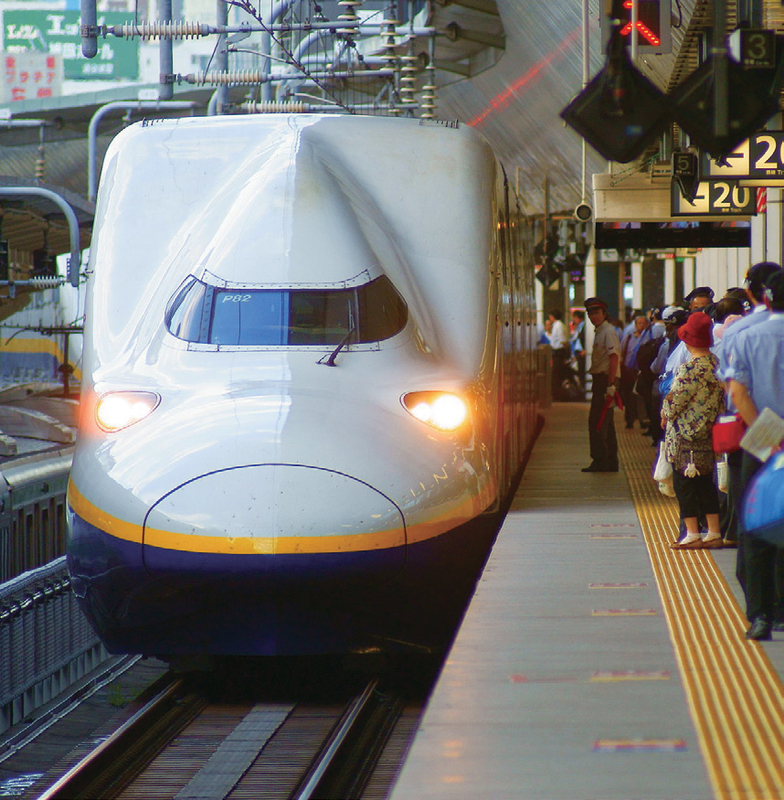 The JR Pass allows you to use the shinkansen (bullet trains) — though not the ultra-fast Nozomi and mizuho services. An added benefit is the ability to reserve seats on the trains for free. Reserving seats requires some advanced planning, but is a good idea if you have a strict schedule to stick to, are travelling during busy periods, or want to guarantee that your group can sit together. Some services like the Narita Express, or the fast Hayate/Komachi shinkansen, require compulsory seat reservations. To reserve your seats, find the Reservation Office at a JR station. Show them your JR Pass, then inform the staff of the number of travelers, the date you want to travel, the departure and destination stations, the carriage class (ordinary or Green), train name/number or departure time, and whether you want a smoking or non- smoking car. For those who are less confident in their Japanese, it’s a good idea to put this information down on paper in advance, which you can show to the staff in order to minimise the risk of a misunderstanding. The smart phone revolution has made it easier than ever before to access all the information we need while we are on the go — and travel is no exception. If you have mobile internet access while you are in Japan (by renting a phone, getting a local SIm card, or via a portable hotspot), the following apps will come in really handy. This app lets you speak, type, or write into it, and will then translate to/from Japanese and English — as well as around 80 other languages. The camera function lets you take a picture, and highlight the text to translate. Find destinations by typing in the address, or by touching it on the map. The navigation system will show you the public transport navigation options, the train and platform changes you need to make, as well as the estimated time and cost of the trip. Enter the start and end points, and the app generates the fastest and cheapest routes via rail and air. The app can also quickly look up the cost of tickets between start and end stations, and show the timetables for almost every station in Japan. Features an offline search for free Wi-Fi spots, which will allow you to jump online and use the app’s online features. This app can search for multimodal routes between different places, including walking, trains, subways, buses, taxis and other public transport methods.